This class provides you with the foundation for your yoga practice as you explore new movements. This class incorporates isolated postures, as practiced in Hatha yoga, and flowing sequences of postures, as practiced in Vinyasa yoga. 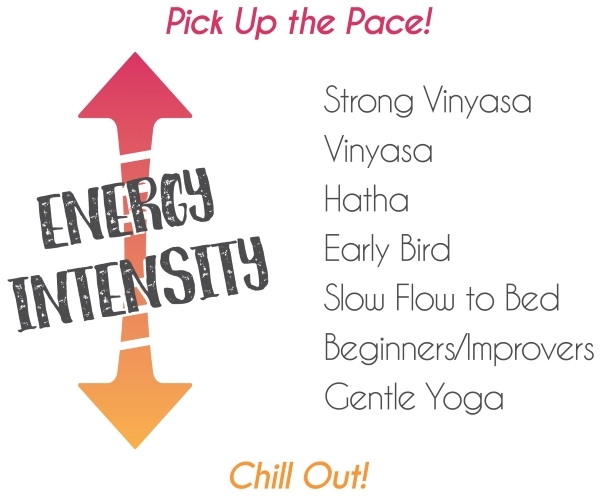 In this class you increase your body awareness, build strength and find calmness. You develop confidence in your practice in preparation for more challenging classes.